Daily Rental costs CNY1200/day (non-holiday), or CNY1700/day (public holiday but not for Chinese New Year), for 9 hours from 8 am till 8pm. Charges apply for extra hour at CNY150, or CNY10/KM. Our offer is for non-holiday period, 50-100% surcharge applies during Chinese & International Public Holidays. Reservation is requested 48 hours in advance, and subject to final confirmation and availability. 50% Deposit is requested upon confirmation, and deposit paid is non-refundable for cancellation advised 48 hours before arrival date. Bookings during Chinese & International Public Holidays are non-refundable. Rental includes accommodation and lunch for driver. You need to pay the driver CNY50/meal if you keedyour driver for dinner within 9 hours. If you need to keep the driver for late dinner or shopping after 9 hours, please pay extra hour charge CNY100/hour and his dinner CNY50/meal. Driver tip: it is not a compulsory, but if you are happy with his service, please tip our driver. Normally in China, tip is around CNY100/day from the group. 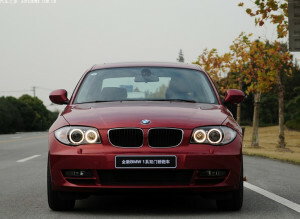 How to book BMW 120i Rental? Please fill up the following form and we will get back to you within 24 hours. For non-public holidays, we ask 50% down payment and balance to our driver upon arrival. If you book for Chinese & International Public Holidays, 100% payment is requested upon confirmation. We accept payment by bank transfer, Paypal with 4.8% surcharge, credit card with 3% surcharge. Or you can also pay by wechat with no extra cost. Caddie, the owner of www.sunnyhainan.com has an account in POSB Singapore. You can make easy transfer on ATM. We are based on Hainan Island with best local knowledge, so we will help you planning your Hainan Island vacation with best local knowledge. With our day rental services on Hainan Island, you decide where to go and what to do with our suggestions. We tailor make travel plan for your family only. No compulsory shopping. If you do wish for some shopping, our driver send you to local shopping markets where local people go. You have our 24 hour personal support both in English & Chinese. How much is 8 + 9?